RBWF President Bobby Kane is delighted to announce that Scotland’s leading organisation involved in supporting and maintaining the legacy and works of Robert Burns, Scotland’s national poet, has signed a three-year sponsorship agreement with Golden Wonder that will enable the Burns Federation, which is also a Registered Scottish Charity, to continue its great work though its National Schools Festivals thanks to the generous support from an iconic brand founded in Scotland. Both parties look forward to working together over the next three years. 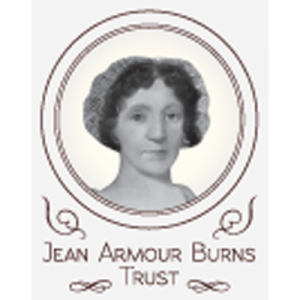 Support has also been received for 2017 from The Jean Armour Burns Trust. The Jean Armour Burns Trust in conjunction with The Glasgow and District Burns Association are pleased to be sponsors of the RBWF Schools Competition in Glasgow this year. Clubs within the Glasgow and District can approach the Association with proposals for projects which require funding. The Glasgow and District Burns Association, on their part, will make an annual presentation to the Trust for funding for their projects and/or funding for projects for their sister clubs. In addition, the Burns Clubs and other benefactors can still contribute funds to benefit the tenants old and new in Mauchline. Any donations which are made specifically for the Jean Armour Burns Houses will be seen to be spent on projects for the tenants in the Houses. Clubs and members are still welcome to visit the Houses.